Last Christmas, my husband gave me a beautiful perfume set for the first time. 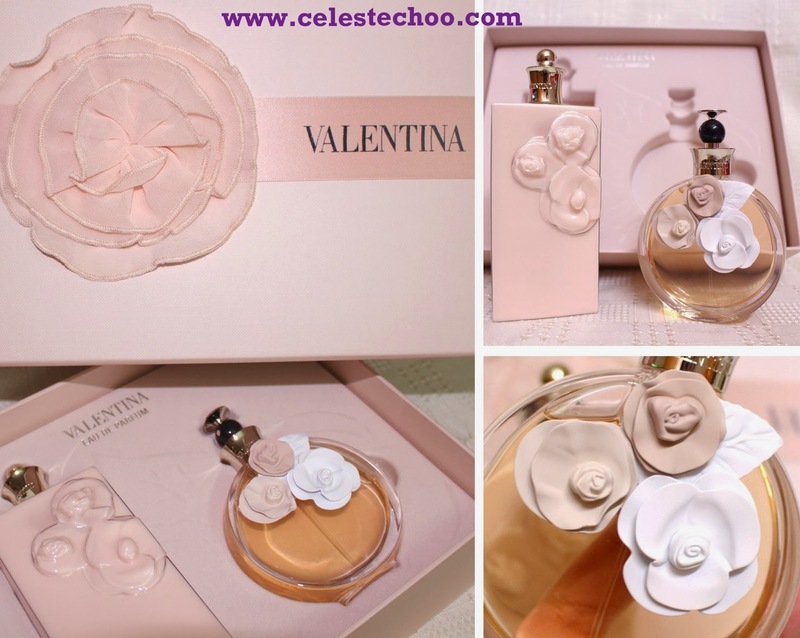 He never bought fragrance for me before so I was delighted to receive one from him, and it’s not just any perfume…it’s Valentina by Valentino. When I first saw this bottle while still working at a previous company, I was captivated. The floral motif in matte finish is just so feminine and iconic. One look and you can tell that this is a designer’s masterpiece. The clear glass bottle comes in round shape front but has a flat bottom to make it stand nicely. The designer name ‘Valentino’ is neatly engraved on the gold cap that sits on top of the smallest flower motif. It features an unconventional spray shape, a black round spritzer with a flat top piece that also comes in gold. Examining the bottle while inhaling the enchanting scent, I was asking myself how to keep the spray from accidentally being pressed if I bring this to travel. At first, I thought it looks very nice but there’s no protection for the spray. Oh well, never mind. So I lifted the lotion bottle to give it a try and to my surprise, under the lotion was an instruction card! The card gave instruction on how to use the spray by pressing the top of the fragrance bottle. And to answer my question, the card also revealed a secret; I have to lift the tray to discover the safety cap for the bottle! Obediently, I followed the card and there was the cap, carefully mounted behind the tray. Clever design trick, I must say, because if they put it together in front, the presentation of the bottle and gift set may not be as impactful. The safety cap is just meant for carrying/ traveling purposes anyway. The exuberant freshness of Calabrian bergamot is enhanced with the unexpected twist of white Alba truffle. Middle notes: The iconic beauty of a white floral bouquet (Amalfi orange blossom, tuberose, jasmine) is subtly kissed by wild strawberry. Base notes: The captivating sensuality of amber is enriched by the noble signature of cedar. The gift set included this lovely lotion in a good size of 200ml. The plastic bottle replicated the flower motif embossed on the plastic itself. The cap is also a resemblance of the gold signature on the fragrance glass bottle. The scent is, oh, so beautiful. It’s the perfect fragrance lotion after bathing at night to engulf and relax your senses in floral aromas. It gives the skin a smooth, satin finish. Best to apply all over your arms and legs after shower. And because my husband bought this during Christmas season, it came with a nice GWP (gift-with-purchase) item…a Valentino evening bag! 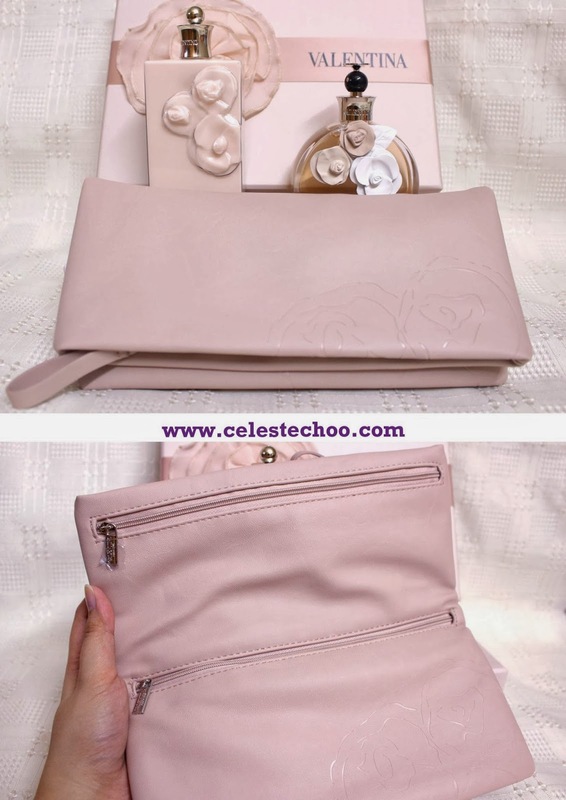 It’s in light rose pink color with 3 zipped compartments that are convenient for bringing basic necessities during an evening celebration. I haven’t used this yet but it’s really a charming addition to any lady’s bag collection. Oh, yes, I love this gift set. 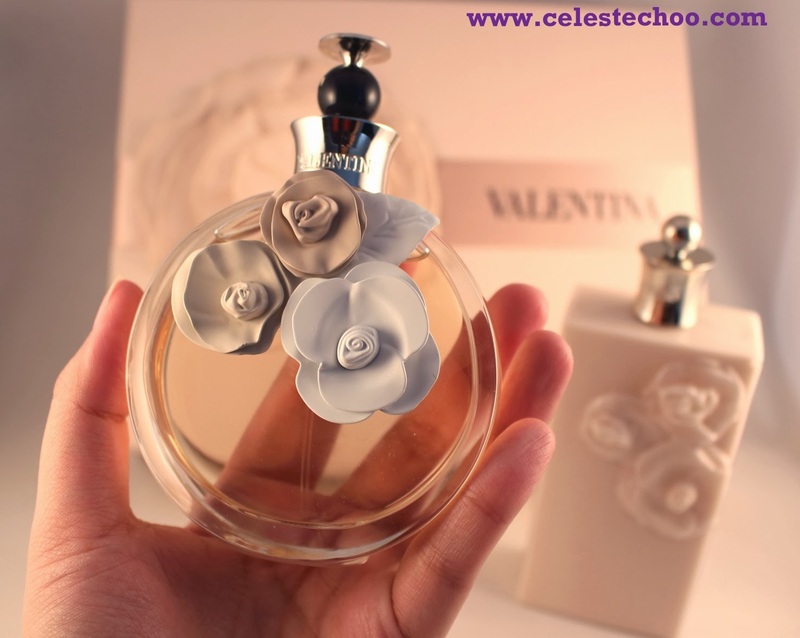 The perfume is captivating with dominant floral scents, which I love when it comes to fragrance. The lotion is just divine and leaves the skin deliciously enticing. 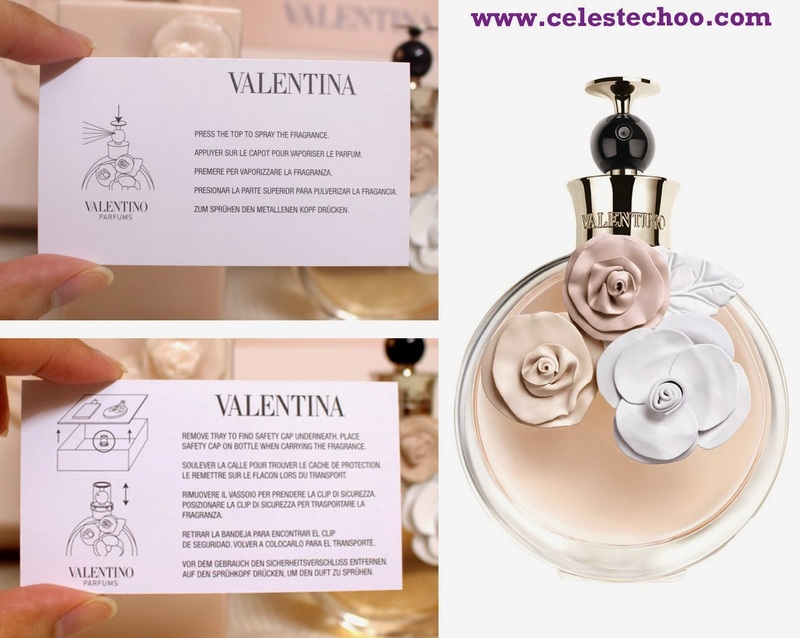 I’m not sure if it’s still available in stores, but if it is and if you (or your special someone) love floral scents, better include Valentina in your fragrance collection and daily body care routine!